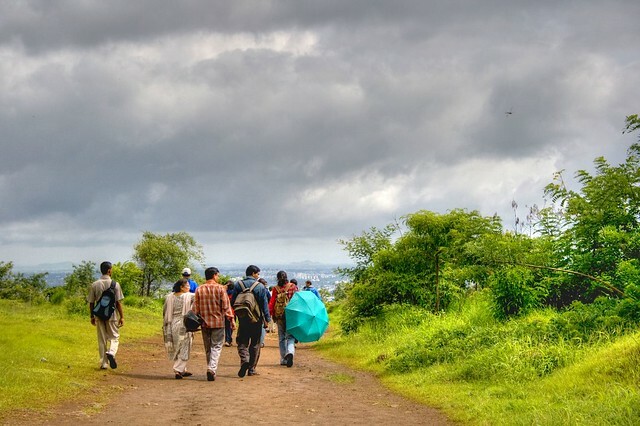 Vetal Hill is the highest hill in Pune district with an altitude of 2600 feet. The temple dedicated to Goddess Vetala after which the mountain is named is located on top of the hill. The terrain is perfect for trekking. However, during monsoon and winter the terrain is slippery and well fogged making trekking difficult. Vetal hill is an area protected by the India Forestry Department.The State Forest Department and Pune Municipal Corporation have taken up afforestation on a large scale, thus, encouraging many species of flora to flourish. The Indian Forest Department maintains a view point near the temple at the summit from where during clear skies, we can have beautiful panorama of entire Pune city.